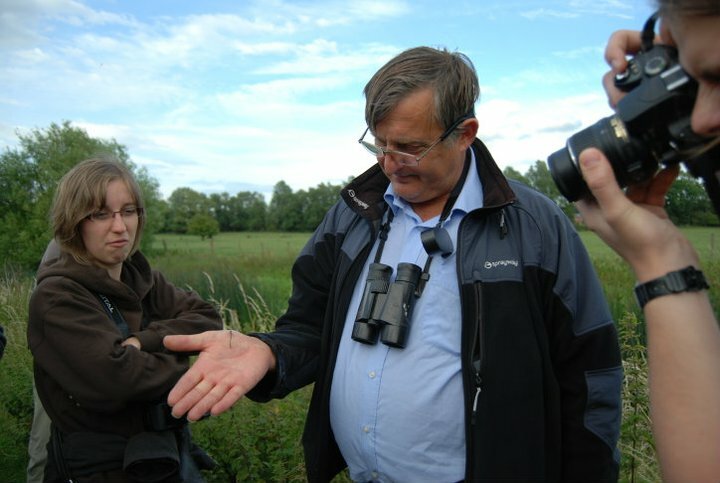 In July this year we ran a mini series of special natural history walks. This was mainly thanks to Alan Nelson, staff member of School of Applied Sciences, who offered to do a number of early Thursday evening guided walks for us. Additionally, the Community Centre provided financial support in form of transport – individual taxis and a minibus, to be precise! Three of these special walks took place: to Caldecotte Lake; from Olney to Clifton Reynes; and around Emberton Country Park. The events proved to be extremely popular, with more than 20 students and staff attending the first two events and a smaller number attending the third (influenced by the bad weather on that day). 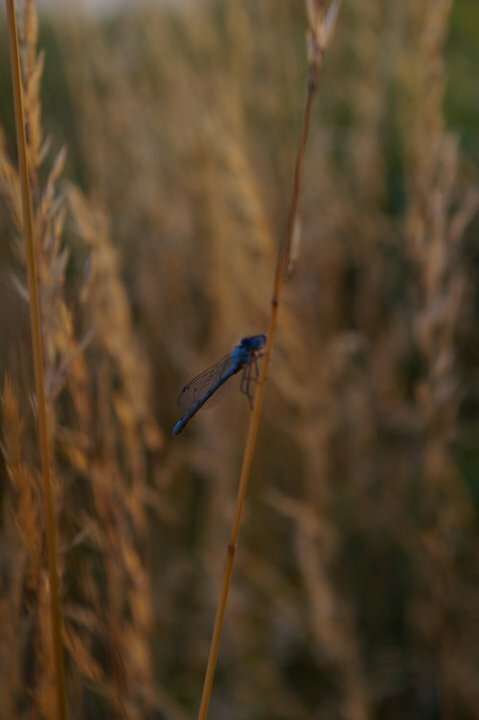 Alan has in-depth knowledge of fauna and flora; dragonflies in particular. Attending one of his guided walks allowed us to see nature in a very different light. Our faces lit up and we listened intently; whether Alan was describing a longbow – a medieval historical weapon made from yew wood, discussing diseases troubling horse-chestnut trees, keelhauling, various plants such as teasel or the fact that a cygnet could be eaten by fox. 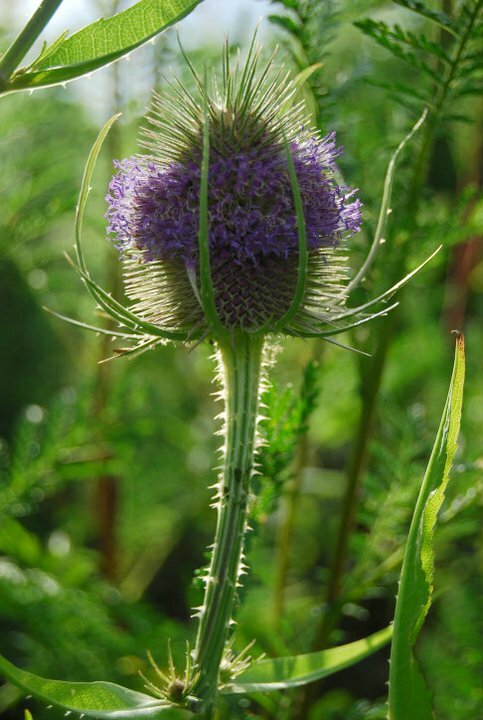 Teasel - one of many lovely photos taken on one of our guided natural history walks. Photos courtesy of Chanlynn Ho and Sharon Birkholz. Now that autumn season is approaching and colour of the trees is changing so beautifully, it would be perfect to have a tree talk. I approached in person the Farm Woodland Forum, whose secretary happens to be Cranfield University member of staff, whether they could do a special interest walk for us. However, they don’t think they can help us at present. So the hunt for a tree expert is still on! If you are a tree expert or have any other natural history/botany expertise and would be happy to do either a lunchtime, short, guided walk or a longer weekend walk for our group, please contact us. Above all, you will be rewarded by knowing you have enriched life of many of our students. This entry was posted in Blog, Walks and tagged autumn, botany, Cranfield University, guided walks, natural history walks, trees, wanted. Hi David, thank you for your message, it sounds great. Will send you an email – maybe we can meet up and discuss?